We would like to share our dream with you. For certain people (elders, children, people with disabilities) it can be hard to perform the most common daily practices. Seniors, as well as people with disabilities, find it difficult to turn off devices when bedridden or unable to move. 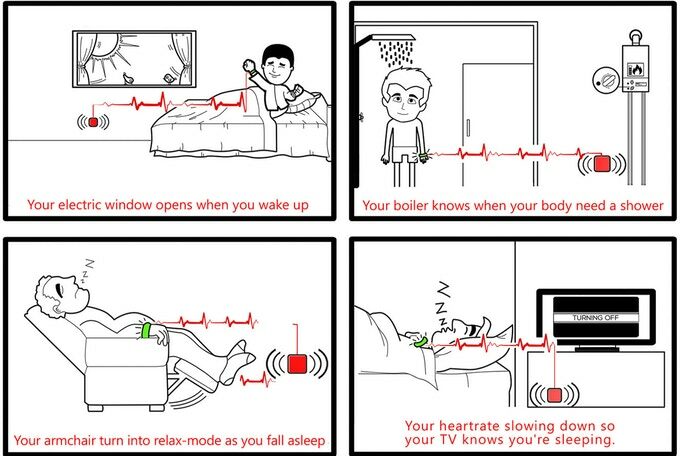 A key to resolve this problem is to create a device able to follow the physiological signals of the body (like the heartbeat) and automatically produce an output (I.o.T.) upon the occurrence of certain events. 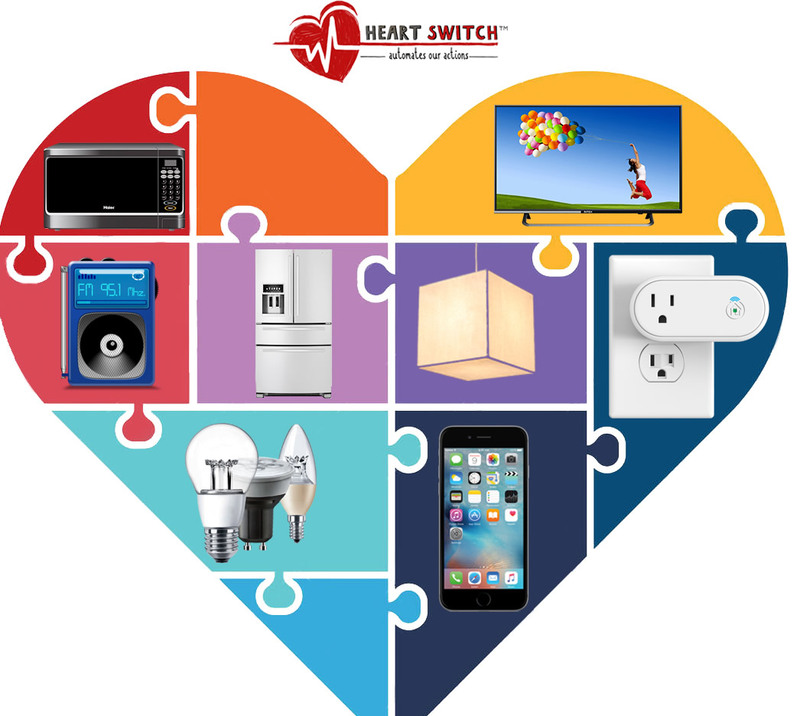 It's the first one device in the world that allows controlling any electrical devices through inputs signals coming from the heart, with this system, the Heart becomes the pulsing-core through which everything is possible! 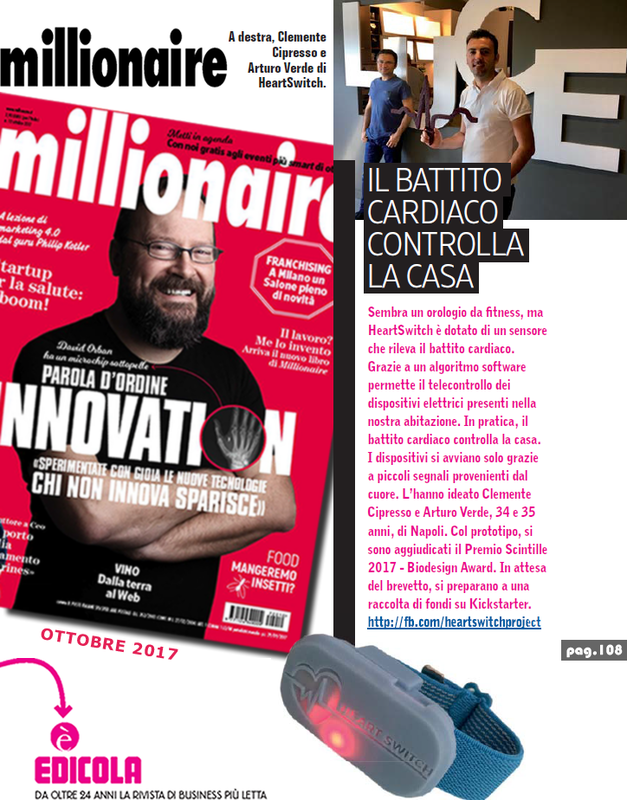 First one worldwide revolutionary concept through which the electrical equipment (the switches), will not be activated by our voluntary thoughts and actions but simply triggered by physiological responses of our body. This is a productive synergy between human-machine that favors the simplification of common everyday actions that sometimes can become impossible for some. 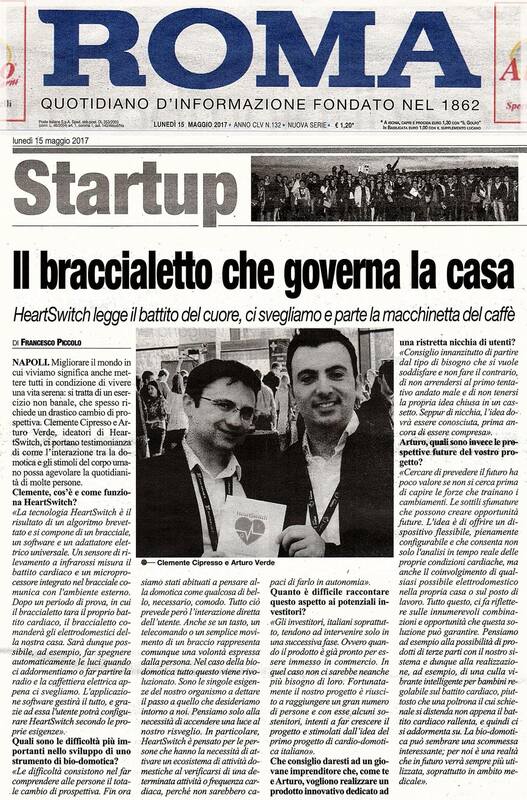 HeartSwitch™'s potential is amazing because the idea will create a new inexistent trend, combining the functionality of physiological parameter monitoring devices and new applications in the home-automation kind. Both of these sectors have had an exponential growth trend in recent years.